In what is being labelled as the worst train accident in recent times, 142 people were killed when the Indore-Patna Express derailed in Kanpur on 20 November. Rescue personnel worked around the clock to help the injured, many of whom were trapped under the debris. While rescue personnel have been lauded for their heroic efforts, not many know that they were accompanied by a squad of sniffer dogs, who also played an important role in the operations. Meet Simba, one of the rescue dogs who worked in tandem with the rescue personnel to rescue the trapped passengers from the mangled bogies. 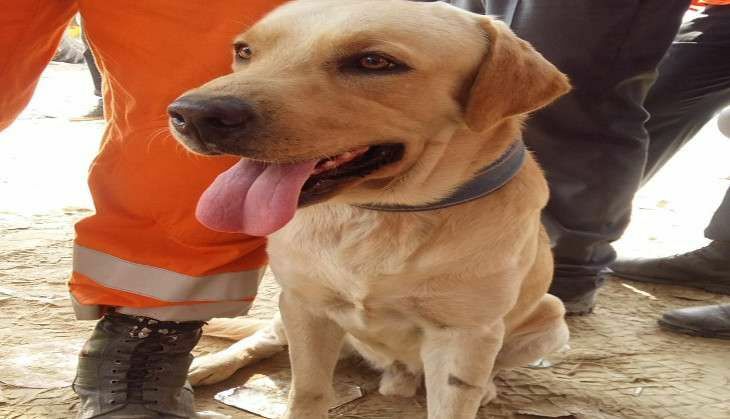 This gorgeous Labrador saved the lives of 15 people by sniffing out their location during the frantic rescue operations. He led the rescue personnel to the people who were trapped under the debris of the 14 coaches which had derailed at around 3am on 20 November. Rescue workers wrapped up their operation early on 21 November - marking an end to the almost 30-hour long operation. Nearly 200 people were injured in the incident. An ex-gratia compensation of Rs 2 lakhs from the PMNRF has been announced for the next of kin of the deceased, while an amount of Rs 50,000 has been announced for those who were seriously injured in the incident.